Since there aren’t many land-based casinos in New Zealand we have to get our gambling fix somewhere else and digital casinos are just the place. While we may miss out on the social element at brick and mortar casinos, we also void the struggle of figuring out to how to get to and from the casino since there are approximately six in the whole country. Even those who live near one may find playing online is a better experience due to the lack of rowdy crowds, intimidating experienced players, and the temptation to spend money on drinks, entertainment and food instead. We have found a substantial amount of stellar Internet casinos for Kiwi players to test out, which is a rarity for us since our land-based casinos are nowhere near each other, unlike the strip of gambling venues in Las Vegas. There is gambling legislation imposed for new Zealanders which we will also touch on to clear any misconceptions up, as well as cover all you need to know when it comes to gambling as a New Zealand player on the web. Unlike land-based casinos in New Zealand, it can be difficult to find a good gambling site with all the dodgy ones. We have tried and tested a number of casinos, but found these gave us the overall best experience in terms of entertainment value, New Zealand-friendly payment methods and security. While the law says it is illegal for Kiwis to make a deposit and play real money casino games at Internet casinos established within New Zealand, it is legal to play at offshore web casinos. New Zealand legislation, including The Gambling Act 2003, states players can gamble legally online at overseas gambling establishments, but not at online gaming establishments operating in New Zealand. Additionally, while it may be illegal for the online operators to advertise to New Zealand players, with a $5000 fine imposed for a single offence, only casinos located in NZ can be penalised due to jurisdictional laws. So while these online casinos can’t advertise on our televisions, they can advertise on the Internet since there is no laws imposed here and players can easily go and watch their television commercials on their site or YouTube. If the online operator was located in NZ and targeting NZ players it would be a very different story and the site would most likely be shutdown as it is against the law. So as long as you aren’t planning on establishing your own web casino in New Zealand, and you are playing at a regulated casinos located overseas, you won’t be breaking any laws. What is a regulated Internet casino? Since New Zealand players have to entrust their money with a gambling establishment which is overseas, the Internet casino needs to be regulated so we don’t have any major problems, and if we do we can settle it quickly and easily. What regulated means is the web casino is monitored by outside parties such as licensers and testing agencies. The online operators of the casino have to pay a fee for these parties to both investigate their track payment records as well as continue to monitor their payout rates and customer service. The fact the online operators pay for this service (some online casinos don’t bother or gain credentials from dodgy governing bodies which are free or cheap), shows they are committed to ensuring they offer a good gaming service for their players. Keep an eye out for the following jurisdictional licensers and their logos, which can be found at the bottom of Internet casinos homepages. One jurisdiction to avoid is Costa Rica, since it is is incredibly easy for online casinos to retrieve a license from them. Additionally, keep an eye out for the eCOGRA logo located at the bottom of the homepage too, as this suggests the Internet casino and its games are regularly reviewed and monitored. The casinos we listed above are all regulated by at least one of the major gambling regulatory organisations. Can New Zealand players access Internet casino promotions? While the web casinos are located offshore, it doesn’t mean NZ players are excluded from the array of promotions. All of our suggested web casinos offer welcome packages, ongoing promotions, and monthly, weekly and daily specials. While some of these sites are targeted at Aussies, such as G’Day online casino, Kiwis are still eligible for their promotions including one where you deposit $100 or more and receive a free case of Tooheys Lager beer. Wagering requirements: Unfortunately wagering requirements are still applicable to NZ players and are set out in the terms and conditions of the online casino site, or on the promotions page. It is important to read these requirements otherwise you may miss out on the promotion entirely for one simple mistake, such as playing ineligible games. Can I gamble online in New Zealand Dollars? The drawback for Kiwis when playing online is we cannot play in our own currency. While New Zealand is generally available to choose as the country when signing up, the option to choose NZD for our currency isn’t and it will sometimes automatically input Euro as our choice of currency. While you have to play in a different currency, players should be smart about this. By playing in Euros the exchange rate is much bigger than playing in say Australian currency. For example, at the time of writing 1 NZD equals 0.66 Euro (exchange rate can fluctuate), while 1 NZD equals 0.93 AUD (this can fluctuate). By choosing a currency which has a smaller exchange rate, you won’t get as big of a surprise on your bank statement when depositing money in a different currency to NZD. Do online casinos have New Zealand-friendly deposit options? Visa and MasterCard: These two brands are globally recognised and are a popular payment method regardless of where you are located in the world. NZ players can use their MasterCard or Visa credit, debit, or pre-paid card to make a deposit. POLi: While this electronic payment method was established in Melbourne, Australia, POLi can be used by NZ players. In fact, we are the only players in the world, other than Australian players of course, which can use this method. 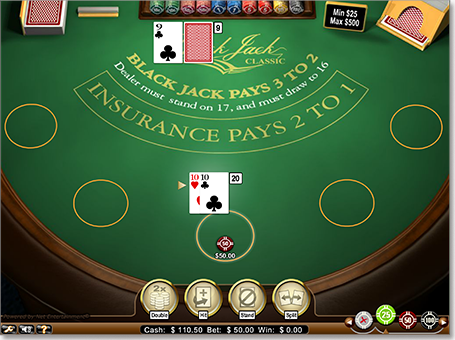 Players simply use their bank details to make a deposit. To find out if your bank is supported by POLi click here. Neteller: Neteller is a great alternative if your NZ financial institution doesn’t allow gambling transactions. Since it is an e-Wallet where you store cash, you simply link your account via the number of methods available, including credit, debit, and pre-paid methods, bank transfer, POLi and more. From here, you can then use your e-Wallet account details to make a deposit at the Internet casino. Skrill: Skrill is exactly the same as Neteller in it is an e-Wallet, though it might be better suited to those who regularly play on their smartphone or tablet as it has a convenient app where you can transfer funds, check your balance, and more. Ukash: While many online casinos do accept prepaid Visa and MasterCards, some don’t so a good alternative is Ukash. You simply load how ever much you want onto this prepaid method and to deposit you use the voucher code you have basically purchased. You can buy these both online and at retail outlets. For a list of participating stores in New Zealand click here. Will I be able to withdraw my winnings? Even though New Zealand players are gaming at Internet casinos located overseas we can still withdraw our winnings to our elected personal account. Since we are in a different currency it will be exchanged accordingly, so while it appears you have more in your casino account then you have transferred to your personal account, this is just due to the exchange rate. If you don’t have an e-Wallet, and your elected payment method isn’t available to withdraw winnings to, simply sign up for one and you can withdraw your funds there, then to your personal bank account. Is it safe to gamble with NZD online? Play at the Internet sites we have listed above and you will be secure when making a deposit and withdrawal. They each have advanced security protocols such as the latest data encryption technology in place to ensure that when you send and receive funds no one can access your personal and financial information.